With just 5 words to speak, the ever chatty Summer would deliver the pay off line “See you at the Pool" in her charming little voice - what could possibly go wrong? 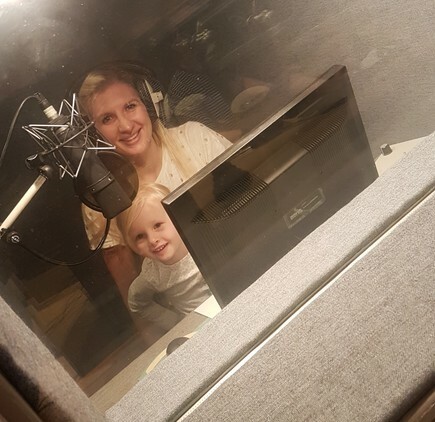 As Mum and daughter sat in the recording booth, Becky tried to coax an award winning performance from Summer. But the youngster, who turns three next month, soon got bored with the idea of having to repeat the same old words, and found playing with the microphone and the controls much more fun. We got there in the end, but it might be a while before Summer is ready for her own series!